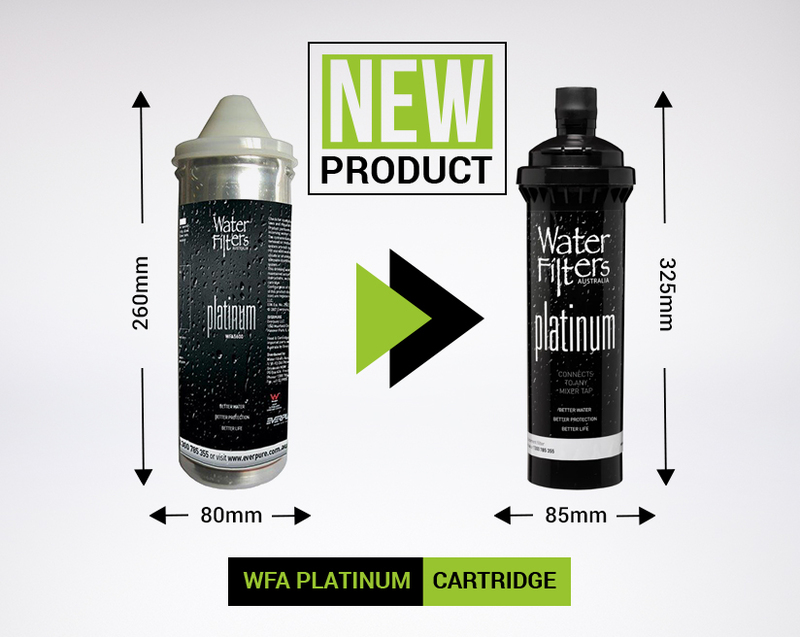 If you’ve been a long term water filter user and a dedicated customer of WFA you’ll have noticed some changes with the cartridges over the years. Just like a new car or a new mobile phone, we are continually developing and evolving our products to be the best water filter products possible for our customers. 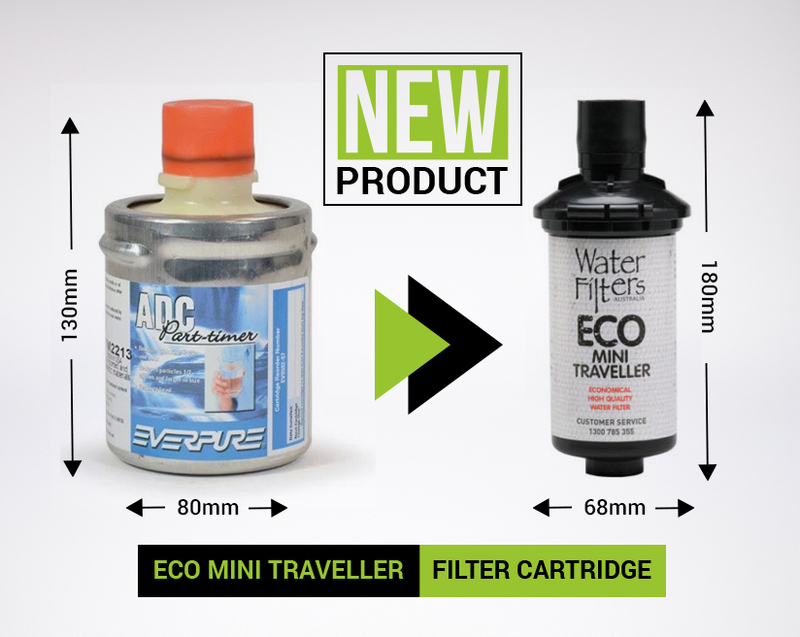 All our new filter cartridges are compatible with existing filters. They can now fit horizontally and vertically under your sink with an easy, quick change bayonet connection. The new technology in the cartridges means more capacity and at a better price! So whether you are a brand new customer or we’ve known you for years..we’ve put together this easy guide to help you choose the right replacement filter cartridge. 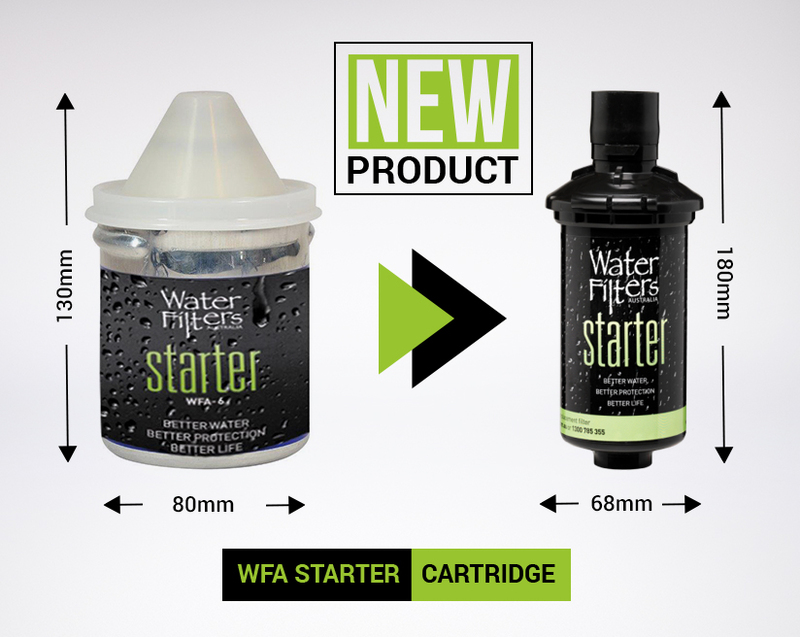 WFA Starter Cartridge – This Starter Cartridge does just what it says…it gets you going with great tasting filtered water. 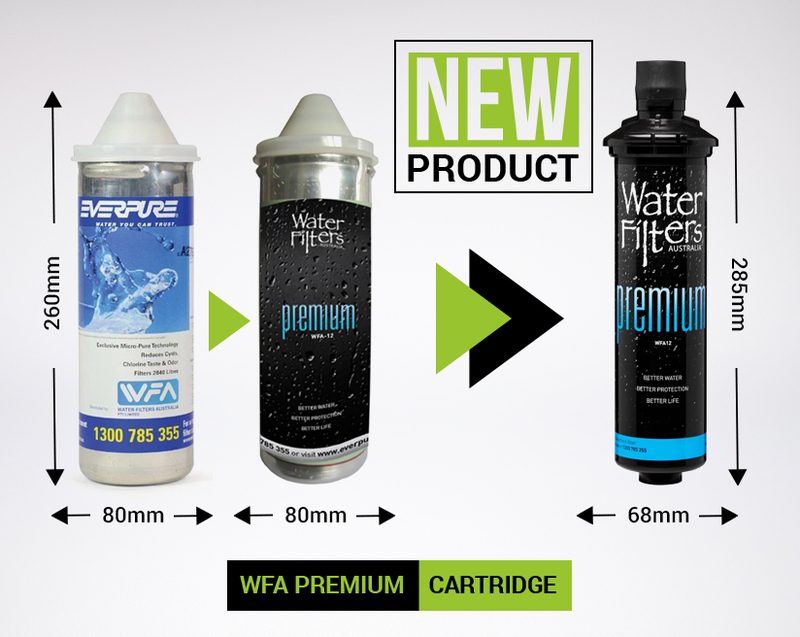 This product replaces the previous WFA 6 WFA starter cartridge. You’ll need to change it after six months and replace it with a WFA Premium Cartridge (which lasts twelve months). But don’t worry if you forget – it comes with an alarm and we’ll also give you a call to remind you to change it. This cartridge has seen the most changes over the years. In fact a total of three changes. Starting off as the trusty WFA 12, it then evolved into the Premium WFA 12 cartridge. Now it’s the WFA Premium Cartridge. This is the cartridge to use if you have a separate dedicated water filter tap. This Platinum cartridge has had a simple makeover. It still does all the same functions but with a greater capacity. It’s got a great flow rate of 4 times faster than traditional filter systems. The Platinum cartridge is our most popular choice and works with our Platinum Inline Water system. It means you have cold filtered water for all your kitchen needs. This cartridge will last a family of four a year! It’s super simple to install and changing it is as easy as changing a light bulb. 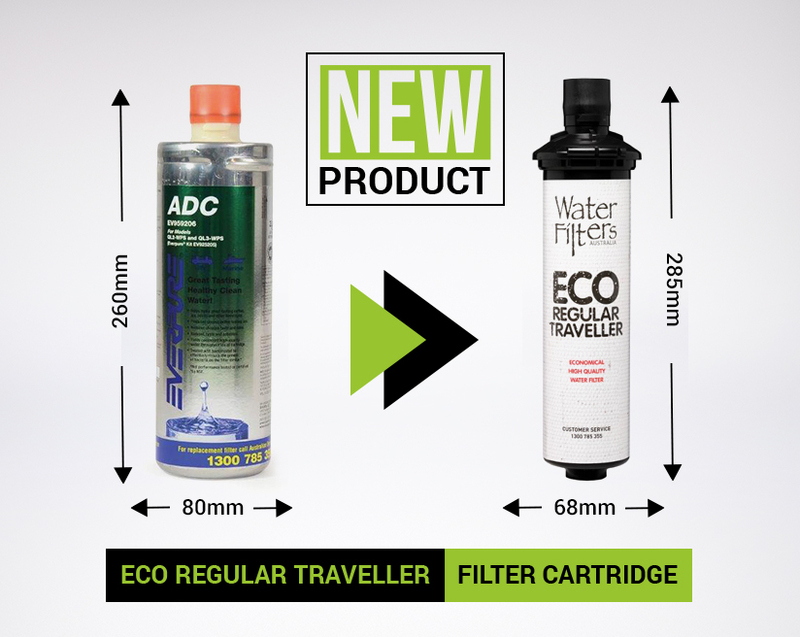 If you like to travel and enjoy filtered water from the comfort of your RV or caravan you’ll notice that our ADC cartridge is now the WFA Eco Regular Traveller cartridge. This cartridge has the addition of KDF (a filter media within the cartridge which prevents bacterial growth). You have the choice to fit it vertically or horizontally and it’s ideal if you like a dedicated filter tap. It’s compatible with all Everpure ADC systems. If you just want a small, compact cartridge for shorter trips then this is the one to go for. The ADC part-time cartridge has had a makeover to become the Eco Mini Traveller. You have the choice to fit it vertically or horizontally and it is compatible with all Everpure ADC systems. All our new products can be easily found on our new look online store or contact our friendly customer service team.